Members of the general public are only too well aware that road traffic comes to a halt during VVIP movements. VVIPs come in for frequent criticism for the traffic halts they cause, whether for their movements inside the country or for their international trips. Be it president’s procession or prime minister’s motorcade, it is the public that is caught in the ensuing traffic disruption. And the public has been complaining about not being given a sympathetic treatment. The trend of halting traffic for VVIP movements affects air traffic as well. On Sunday, both international and domestic flights in and out of TIA scheduled for 10:30 am were affected because of the VVIP flight. Generally, when VVIP flights are taking place, air passengers have to face both road and air traffic hardship. 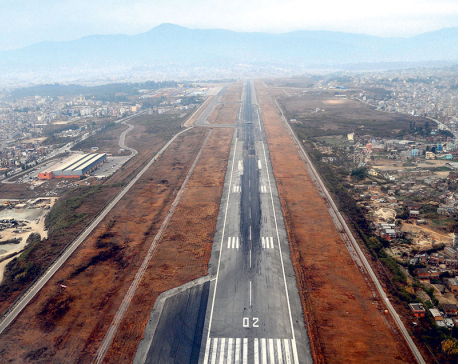 Om Gurung, an air passenger landing at TIA from Bhairahawa Sunday morning, said at first they had to remain inside the aircraft for almost 45 minutes waiting for the airport services to resume. After the airport resumed its services, they had to wait again for the road traffic to resume. 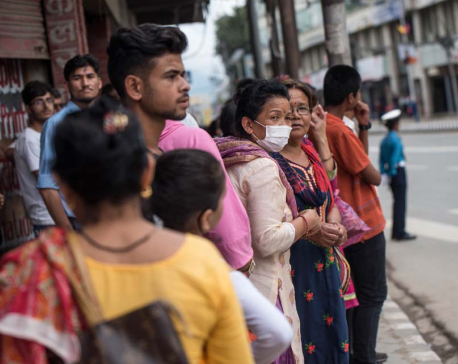 Gurung said, “Seventy two passengers and the crew of four had to stew inside the aircraft for 45 minutes.” According to him, his flight landed at TIA some 15 minutes earlier, but they were not allowed to get off the aircraft, citing VVIP security. Moreover, the airport management did not allow them to run the air condition, saying it made too much noise. However, according to TIA, the international trend is to keep passenger aircraft on hold during VVIP departures and arrivals. “Generally we close the airport for 30 to 35 minutes during such VVIP movements,” said Prem Nath Thakur, spokesperson for TIA. To avoid inconveniences caused by VVIP movements the airport management issues a Notice To Airman (Notam) to all domestic and international airlines that have flights scheduled during the time of the VVIP movement. “It is their responsibility to avoid the impact of VVIP movements on their flights,” he added. He further said that the airport authorities have to check the runway before a VVIP aircraft lands. So, sometimes they have to close the airport for a little longer. Yeti Airlines media manager Bhim Raj Rai said normally they receive the Notam a day before and they reschedule their flights accordingly. “Sometimes it is hard to reschedule and passengers have to face inconveniences,” he said. Lawmaker Minendra Rijal has drawn the attention of parliament to the troubles faced by passengers at TIA during PM Oli’s return from China. “People were forced to remain inside their landed plane. The republic was not created to bring in new kings in place of the old,” Rijal quipped.